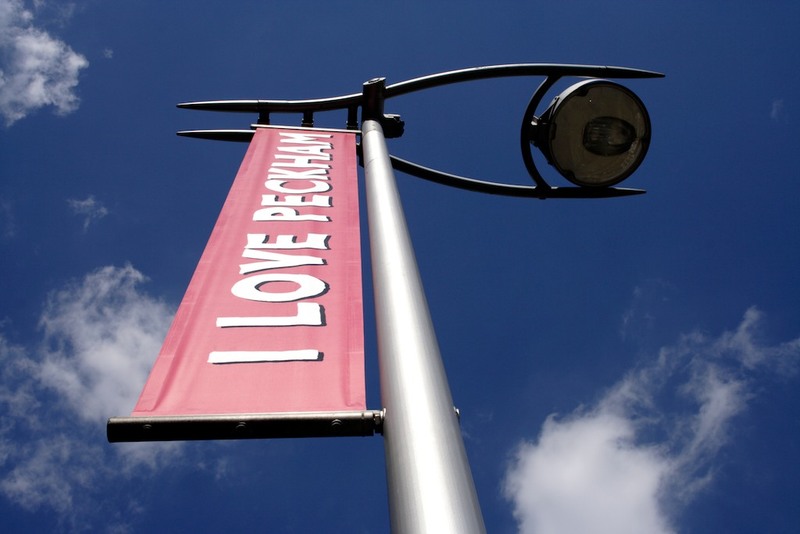 I Love Peckham was a project in collaboration with designer Daniele Latini. 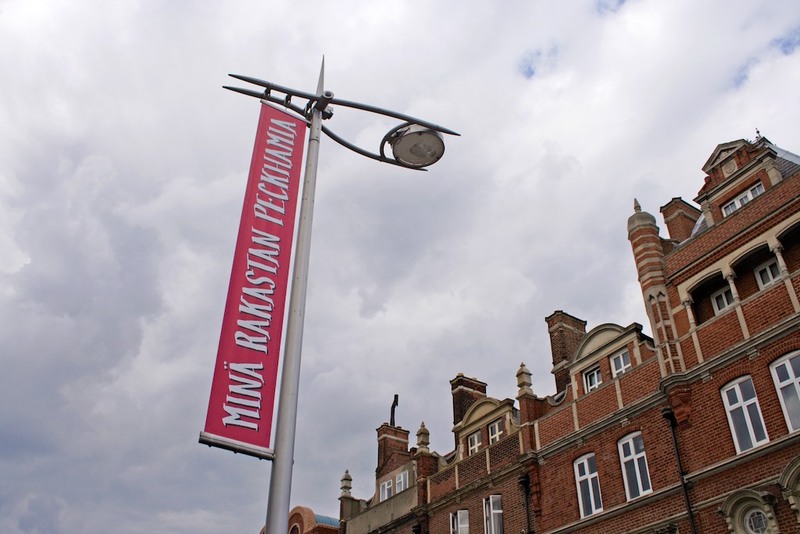 In May 2005, the Peckham Programme, part of the regeneration department of the London borough of Southwark selected our proposal for a banner project based in Peckham, South East London. 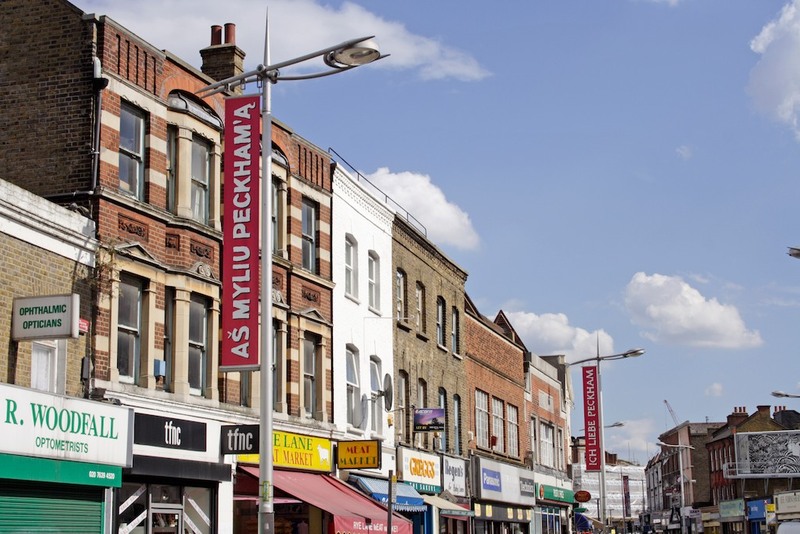 We were commissioned to design one side of the 48 banners for the busy shopping high street of Rye Lane, Peckham SE15. 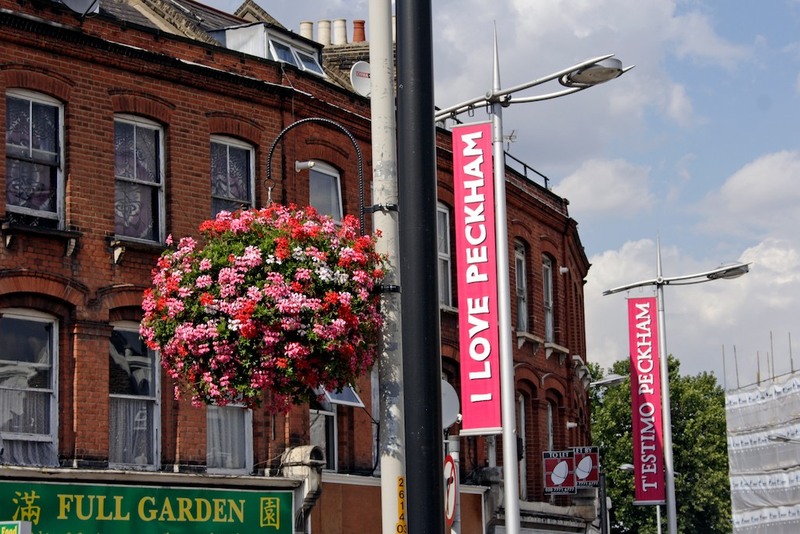 Our proposal consisted of 48 typographic ‘I LOVE PECKHAM’ solutions in 48 different languages based on a extensive visual research and public survey around the area. We worked in collaboration with visual artists Madeline Herbert and Leah Germann, who designed the other side of the banners. 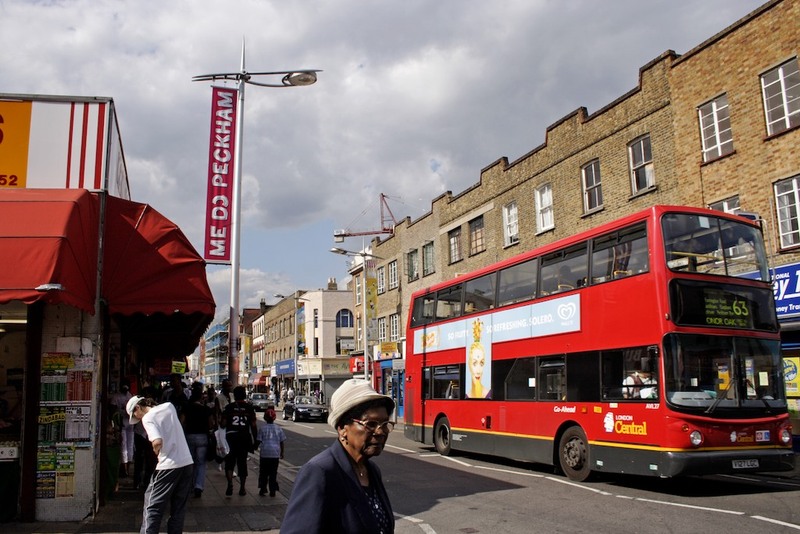 The project aimed to celebrate Peckham as a multi-cultural and diverse community, and a vibrant town centre that is renowned for its African foods and culture. 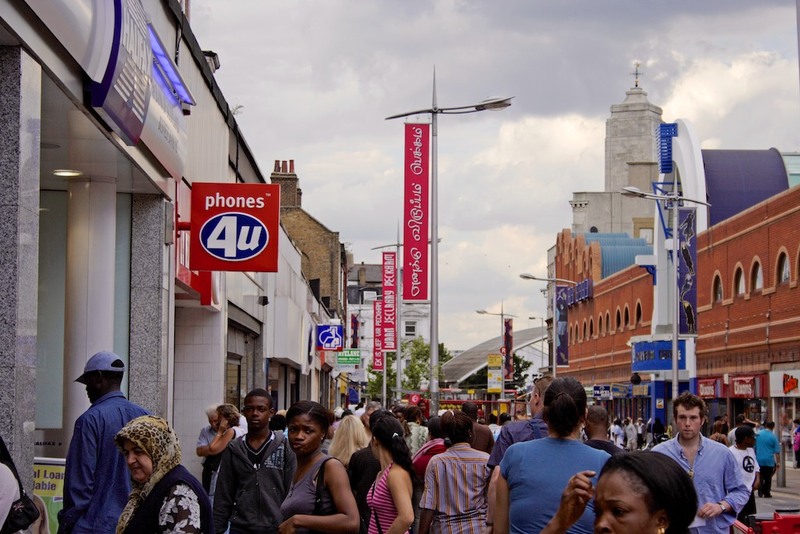 Southwark Council set up this project working in partnership with Africa 05 (a partnership of the British Council and the South Bank Centre). 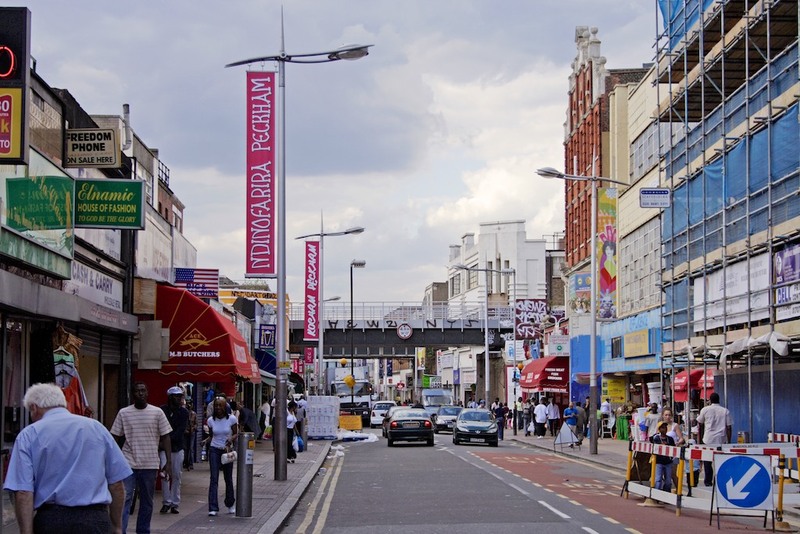 The project was reviewed in Design Week (no.35, September 2005), Creative Review (October 2005), South London Press (21st October 2005) and ITV1 London (23rd October 2005).